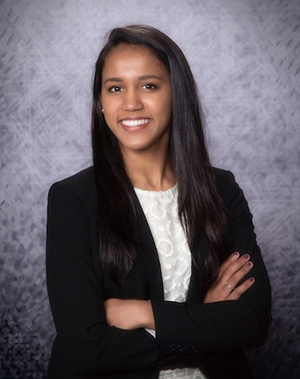 Madhavan graduated from Duke in the spring after completing an individualized major she titled “Medicine in the Genomic Era,” so she could investigate the social, policy, and economic barriers to precision medicine in U.S. healthcare. “I wanted to explore the science and statistics behind precision medicine, the market forces driving tailored therapeutics, and the bioethical discourse surrounding clinical genomics,” Madhavan said. 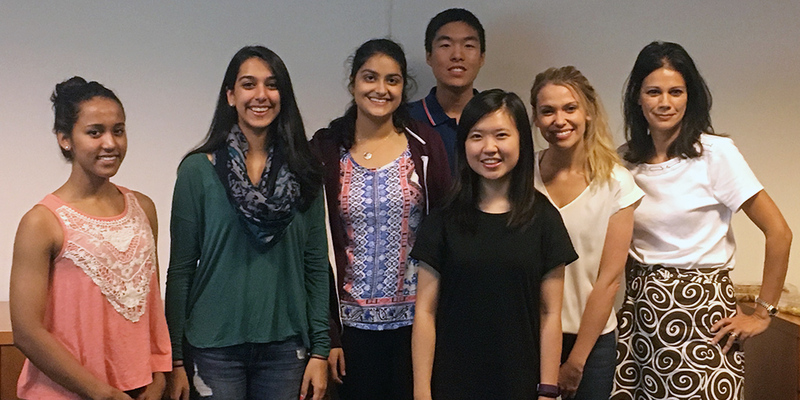 During her time at Duke, Madhavan got involved in several research opportunities across the bench and bedside. In Charlie Gersbach’s lab, she worked toward the development of a CRISPR-based gene therapy for Duchenne’s Muscular Dystrophy. She also branched into health communications through her involvement with Peter Ubel’s team and worked to shed light on the ways that physicians engage in shared decision making with prostate cancer patients in real clinical encounters. She culminated her undergraduate research career by co-leading the Enabling Precision Health and Medicine 2017-2018 Bass Connections team. Under the leadership of Drs. Susanne Haga and Lori Orlando, Madhavan and team sought to expand and improve the usability of the MeTree program, a patient-facing web-based risk assessment tool driven by family health history. The tool is being integrated into clinical practices to provide clinical decision support to patients and their primary care providers about risk levels and recommendations for risk management for 45 conditions. Madhavan is preparing for medical school at Harvard this fall and plans to specialize in oncology. She hopes to become a teaching physician-scientist at a large academic medical center. “I hope to improve the cost, quality, and accessibility of national genomic screening efforts to facilitate preventative care across the country,” she said. By Alissa Kocer; originally posted on the Duke Center for Genomic and Computational Biology website. Photo at top: Madhavan and some of her fellow team members on the Bass Connections project with Dr. Haga at right.